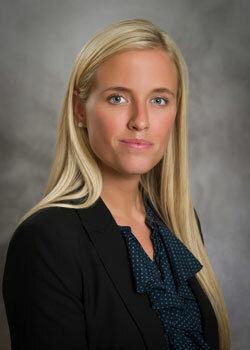 Dr. Elizabeth Lauth Powers was born and raised in Carmel, Indiana. She attended Miami University of Ohio for her undergraduate education, and received a Bachelor of Arts degree in Psychology in 2007, as well as a minor in French. Dr. Lauth Powers returned to Indianapolis a year later, where she began work as an optometric technician and quickly developed a passion for eye care. After deciding Optometry was right for her, Dr. Lauth Powers attended the New England College of Optometry in Boston—one of her favorite cities. She spent the next four years pursuing her Doctorate in Optometry, and graduated in 2012. After graduation, Dr. Lauth Powers again moved back to Indianapolis to be closer to her family. She is currently a member of the American Optometric Association and the Indiana Optometric Association. In the summer of 2012, Dr. Lauth Powers joined the Lanter EyeCare team. Her interests include ocular disease, refractive and other ocular surgeries, pediatrics, and contact lenses. Dr. Lauth Powers hopes to one day participate in medical mission trips to underprivileged countries. Currently, she lives in Indianapolis with her husband and son, and enjoys spending free time with her family and friends.